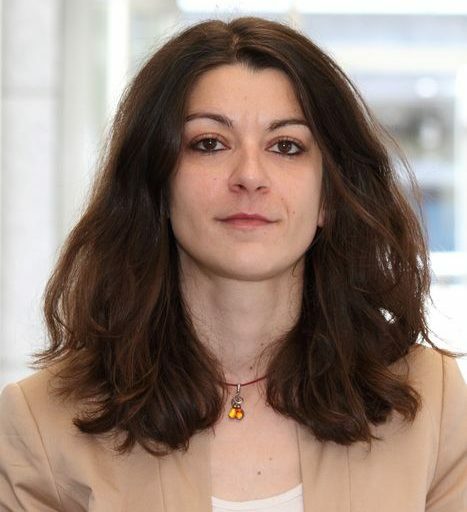 Adriani Dori ist Research Fellow am Max Planck Institute for International, European and Regulatory Procedural Law in Luxemburg. The highly anticipated hearing in the Celmer case (C-216/18 PPU, Minister for Justice and Equality v LM) took place on 1 June 2018 before the Grand Chamber of the ECJ. For any readers of this blog that are not familiar with the facts, Celmer concerns the execution of a European Arrest Warrant (EAW) against Mr Artur Celmer (identified as LM in the proceedings), a Pole suspected of drug trafficking. Last March, the Irish High Court refused extradition due to concerns about the rule of law in Poland given the judicial reforms currently being effected. Justice Aileen Donnelly’s reasoning was grounded primarily on the European Commission’s Reasoned Proposal in accordance with Article 7(1) TEU of 20 December 2017. Whether the Aranyosi and Căldăraru double test for the suspension of EAWs should apply to Celmer. Recall that Aranyosi imposes a double duty on the executing judicial authority, first to assess systematic or generalised deficiencies in the issuing State, and second, to conduct a specific and precise assessment for the person concerned. And, should the double test not apply, to specify if “flagrant denial” of fair trial standards specifically for Mr Celmer, is required, in spite of generalised findings of systemic breach of the rule of law, and what pieces of evidence should be considered adequate for the individual inquiries of the executing judicial authority. The stakes in Celmer are undoubtedly high. On the one hand, the efficiency of the EAW mechanism, as defined in the Framework Decision on the EAW (“FD”) and in Melloni, is clearly at risk — a risk which could lead to broader consequences for the whole architecture of mutual trust and recognition within the European AFSJ in criminal (see here and here) as well as in civil cooperation. On the other hand, the Celmer dispute goes to the heart of the problems surrounding the current Polish judicial reforms, and to the ensuing concerns about judicial independence. This is all the more sensitive because the ECJ has recently acknowledged the right to effective and independent judicial protection as a general principle of EU law (see Associação Sindical dos Juízes Portugueses, para 35; for a very thoughtful analysis see here). Taking into account the present negotiations under Article 7 TEU between the Polish government and the Commission, Celmer is unquestionably both political and delicate in the extreme. Celmer also demonstrates the broader phenomenon of judicialisation of EU politics, which has intensified in recent years (a prominent example being Gauweiler, on EU economic and monetary policy). The EAW, due to its nature, has proven a suitable instrument for national judges to involve the ECJ in pressing EU political questions (next to Celmer see also Case C-191/18 with a request for a preliminary ruling from the Irish Supreme Court on UK extraditions after Brexit). Against this backdrop, it is not a coincidence that Celmer has been branded by mainstream media as probably the most important CJEU verdict for this year. The case has triggered political controversies, it has given rise to scurrilous attacks against Justice Donnelly (see here and here), and it has gained broad coverage on specialised blogs and social media. Last Friday, in a long four-hour hearing, the ECJ heard the arguments of the Irish Minister for Justice and Equality and Mr Celmer’s lawyer. Written observations were submitted by Poland and Hungary (Member States presently facing strong criticism for rule of law attacks), Spain (with a special interest due to the Puigdemont EAW), the Netherlands (with pending decisions for the suspensions of EAWs), and by the Commission. The Court participated very actively in the proceedings, with AG Tanchev and the judges posing multiple questions to all participants. The hearing focused on two main points: A) the conditions for the suspension of Mr Celmer’s EAW in the light of the Aranyosi and Căldăraru double test, and B) the relationship between the Aranyosi test and Article 7 TEU. The next part summarises the participants' main arguments and draws some conclusions. The diplomatic language of the Commission (and other participants) did not contribute to clarity and sometimes revealed how problematic the case is for Brussels to deal with. What follows is based on the oral debate at the hearing, and should be checked against written observation, when available. Should the Aranyosi test apply to Celmer? The first issue discussed was whether the Aranyosi double test applies to Celmer. Ireland, the Commission and the Netherlands agreed on the application of Aranyosi and on the general duty of courts to apply both steps of the test. The first prong of this test requires a systemic deficiency of the justice system in the requesting state. This could be proved by the initiation of Article 7 TEU proceedings by the Commission, an argument that most participants shared. Spain, Poland and Hungary supported the opposite view and rejected the application of Aranyosi, albeit for different reasons. Spain’s argument focused on the absolute character of the right at risk in Aranyosi (Article 4 Charter/3 ECHR; Aranyosi paras 85-87) compared to the derogable nature of Article 47 Charter/6 ECHR. For Spain, the Celmer core question goes to the heart of mutual trust and could lead to incompatibilities with the Melloni doctrine. Additionally, Spain asserts that full application of the Aranyosi test would require an in-depth assessment of a foreign judicial system, a task that is not feasible for judicial authorities. Hungary and Poland also refused the application of Aranyosi based on the character of Article 7 TEU as a prevailing political process. Hungary also pointed out that the existence of monitoring mechanisms (e.g. official statistics on the overcrowding of prisons) facilitated the inquiries of the executing judicial authority in Aranyosi, whereas in Celmer the determination of rule of law breaches requires a more complex assessment that – precisely because of the complexity – is subject to the procedures of Article 7 TEU. The second prong of the Aranyosi test (requiring an individual assessment) featured largely in the hearing – an aspect that might foreshadow the possible outcome of the case. The questions of the judge-rapporteur (Rosario Silva de Lapuerta) and of the AG (Evgeni Tanchev) on the potential or actual risks for a “flagrant denial” of justice, shed light on the participants’ written observations. Mr Celmer’s lawyer recalled the need not to underestimate generalised negative findings on the independence of Polish judges by various bodies (EC, EU Parliament, Venice Commission, and NGOs), also in the light of Associação Sindical dos Juízes Portugueses. When asked to elaborate further, he indicated that his client’s right to a fair trial in Poland could be jeopardised e.g. by the proposed changes on the disciplinary proceedings concerning judges (the Commission also endorsed the point, but admitted that Mr Celmer was accused of a an ordinary and not a political crime). Nevertheless, he pointed out that the executing judicial authority faced practical obstacles in receiving information from the issuing authority on violations of Article 47 Charter/6 ECHR, and that this made individual inquiries, as imposed by Aranyosi, inexpedient for Mr Celmer. All other participants agreed that individual inquiries are in any case necessary for the suspension of the EAW. Reference was made to Recital 10 and Articles 1(3), 15(2) FD, as well as to ECJ case law (Aranyosi and Căldăraru, Piotrowski, but also Banger) and the ECtHR (Harkins v United Kingdom, Urban v Poland, Baka v Hungary – concrete “flagrant denial” of justice). According to Ireland, the Commission and the Netherlands, Mr Celmer should bear the burden of proving his concrete risks of an unfair trial in Poland. The Irish High Court could then make use of Article 15(2) FD, request from the issuing authority all the necessary supplementary information, and then it could decide in the extradition, after listening to the Polish arguments. It should be noted that Spain expressed doubts on the application of Article 15(2) FD, as this possibility exists only as a measure of last resort. In the same line, it seems that the Commission endorsed – to some extent – Mr Celmer lawyer’s argument about the inexpediency of individual inquiries under Article 15(2) FD for this specific case. Furthermore, judges have pointed out the contradiction of having on the one hand cogent evidence of the lack of guarantees for a fair trial but then again requiring from the suspect proof of potential individual violations. In this respect, we believe that the AG Sharpston Opinion in Radu (paras 82-84) could be also of relevance for the Court. One of the most controversial issues of the Aranyosi test in practice relates to the indicators to be taken into account for assessing the systematic or generalised deficiencies in the issuing State, in the first place, and to conduct a specific and precise assessment for the person concerned at a second stage. The Celmer case is also relevant here. On the one hand, the Commission proposed some criteria for the assessment of individual risks, grounded either on objective reasons such as the nature of the crime (e.g. political crimes) or on subjective reasons (e.g. the suspect is an active opponent of the ruling party, or could face discriminatory measures due to ethnic or other characteristics, etc.). However, in our view the ECJ’s criteria seem to be too narrow to encompass the broader spectrum of Article 47 Charter/6 ECHR violations. On the other hand, and more interestingly, the value of the Reasoned Proposal was also a matter for discussion. Member States in favour of applying the Aranyosi tests – Ireland and the Netherlands – shared the view that the Reasoned Proposal met the requirements of the first prong, and could further function as a starting point for individual inquiries, even if, for the Irish, courts should always follow a case-by-case approach. The Commission aligned itself to the opinion. Conversely, Hungary and Poland relied on the progressive stages of Article 7 TEU (as described in the first three paragraphs of the provision) not only for questioning the Commission’s competence to identify breaches of Article 2 TEU, but also for undervaluing the relevance of the Reasoned Proposal. In their opinion, documents produced during intermediate stages of Article 7 TEU cannot be used to undermine mutual trust. According to Poland and Hungary, those documents simply highlight the danger of violations in the light of an outdated analysis that could not take into account the amendments already proposed by the Polish government last April and May, not to mention further changes that may still occur out of the continuing negotiations with the Commission. To the contrary, only the Council has the final word on the determination of Article 2 violations. Relying on the Commission’s preliminary assessment would amount – so the argument went – to creating a presumption of rule of law breaches and could constitute a violation of Poland’s right to be heard in the procedures of Article 7 TEU and to contest the Reasoned Proposal. The relationship between Aranyosi and Article 7 cannot be examined without considering the potential impact of the Celmer decision on the notion of mutual trust within the European AFSJ. Almost all participants to the hearing agreed on the importance of mutual trust for the execution of EAWs, as imposed also by Melloni. They endorsed Ireland’s argument that Celmer might lead to chaos for the EAW mechanism, and to impunity for criminals. Nevertheless, as pointed out by many of the participants, mutual trust is not blind, and its limits have been set in the Framework Decision (Recital 10 and Article 1(3)) and in relevant ECJ case law. On the other hand, Mr Celmer’s lawyer rejected the “chaos” argument, claiming that the exceptional character of the case at hand (opening of Article 7 TEU proceedings against Poland) could function as a filter, i.e., a general suspension of EAWs is not at stake. As for the specific relationship between Aranyosi and Article 7 TUE, the opinions were diverse. To resolve the conflict of the two principles of judicial independence and mutual trust, Mr Celmer’s lawyer called on the Court to go back to the Treaty. He distinguished between the nature of the EU (i.e. the fundamental values of Article 2), the purposes of the European action (Article 3) and the means to achieve them (Article 4). He argued that the means should not be more important than the nature, and called for a balance between Article 2 TEU, that embodies “the entire inheritance of human civilisation and democracy” and mutual trust, that he analogised to love within a marriage (“the husband cannot rely on the contractual obligation for love”). Furthermore, rule of law scrutiny under the mechanism of Article 7 TEU cannot function as a substitute for human rights protection; though their substance might overlap, the approach of the Council towards Article 7 is completely different. Poland and Hungary pleaded for a clear distinction between Article 7 TEU and court assessments for extraditions. The application of Aranyosi to Celmer could lead to a circumvention of the Treaty provision. Rule of law assessments should be made only within the political proceedings of Article 7, and they produce legal effects only when breaches are determined at the final stage of Article 7(3). A different approach would leave the execution of EAWs to the full discretion of national courts and could lead to huge discrepancies across jurisdictions. As a consequence of the lack of competence of the Irish Court, Poland also questioned the ECJ power to decide under 269 TEU on Celmer. The ECJ, the argument claimed, had competence only for the action brought by the Commission last March (C-192/18 – infringements proceedings against Poland). For Ireland, the Aranyosi test obliged courts to examine in concreto the case at hand, but not to substitute the role of the Council within Article 7 TEU. Respect for the rule of law could be used for the examination of the right to a fair trial under Aranyosi, but it was not sufficient alone. The arguments of the Commission and The Netherlands also addressed this very last issue. Although Article 7 TEU is independent from judicial proceedings, the executing judicial authorities maintain the right to consider such issues in concreto within the duty imposed by the second test of Aranyosi. To fulfil this task – so the argument goes – national courts cannot ignore cogent evidence of threats to judicial independence. When asked to clarify its position between Article 7 TEU and the second step of Aranyosi, the Commission acknowledged the delicate nature of the questions and responded that it was in the nature of Article 7 TEU to have EAWs suspended, but only when all stages of Article 7 TEU were concluded. Spain’s overall position was close to Hungary and Poland regarding the clear distinction of competences between rule of law breaches under Article 7 TEU and other judicial assessments by national courts. In Spain’s view, a solution permitting national courts to conduct broad examinations of a foreign judicial system is not only unrealistic, but could also infringe Melloni by allowing the application of higher standards outside of the limits set by the Framework Decision (Recital 10 and Article 1(3)). Much ink will undoubtedly be spilled in the near future over all the legal questions raised in Celmer. Regardless of the answers the ECJ will give, the hearing already provides a valuable lesson on the Commission’s clear positions on the Polish judicial reforms. Poland’s representative claimed that the arguments brought by Mr Celmer – such as the lack of finality and publication of judicial decisions, or the role of the executive power in disciplinary proceedings against judges – are exaggerated and do not reflect reality. More importantly, he claimed that the undergoing political dialogue narrowed the gap between the ruling party and the Commission and that this has already led to the removal of some controversial measures (such as the different retirement age for female and male judges). The Commission’s representative rejected all Polish arguments, though. In her opinion, the proposed amendments were by no means sufficient to alleviate the Commission’s concerns that remain on the table. These include crucial issues such as the authoritarian reorganization of the Highest Polish Courts, the forced retirement of a significant number of Supreme Court judges, the non-involvement of judges in the elections of the National Council of Judges, and finally the ability of the executive power to exercise direct or indirect influence over disciplinary proceedings against judges, who can now be held accountable for the content of their decisions – a point that President Lenaerts has particularly stressed in his questions to Poland’s lawyer (for a more information on the controversies of the Polish reforms see the arguments of the Polish judges association “IUSTITIA” here; for a summary of the controversies here). The Commission concluded that all these aspects paint a gloomy picture of the Polish judiciary and that suspicious cases of disciplinary proceedings against judges have been already observed. Ireland and the Netherlands were also on the same wavelength, and they converged on the idea that Celmer should not be instrumentally linked to the state of affairs of the Polish judiciary with a view to endorsing the Polish reforms. As the hearing has demonstrated, the ECJ could easily follow a narrow (and comfortable) approach by applying to Celmer the stringent test of the in concreto and “flagrant denial” of justice, as imposed by Aranyosi and ECtHR case law (in this respect see also the relevant recent conclusions of AG Bobek in the pending case C-89/17, Banger, paras 78-81). Even in that case, one should not underestimate the value of evidence-based individual inquiries on the state of affairs of the Polish judiciary by national courts, nor the power of deductive logical reasoning. On the other hand, it remains to be seen if the ECJ is ready to address the phenomenon of rule of law backsliding in the EU and to what extent it is willing to focus its attention on the controversial Polish judicial reforms that undermine the independence of a Member State’s courts. The recent Associação Sindical dos Juízes Portugueses (paras 36-37, 41-44) has demonstrated the importance of the ECJ attitude to act as a quasi-constitutional Court (see also here), ready to protect the very essence of the Union, the fundamental values of Article 2 TEU, and has been seen by some as a signal to Warsaw (see here and here). Celmer represents a signal opportunity for the ECJ to assist institutional EU actors in facing emerging political dead-ends (we are reminded that Article 7(2) TEU requires unanimity of the Council) and to step into the heart of political problems besetting EU and jeopardising its future. After all, it will not be the first time (since Gauweiler). Hic Rhodus, hic salta! Note: The AG opinion will be delivered on 28 June 2018. SUGGESTED CITATION Dori, Adriani: Hic Rhodus, hic salta: The ECJ Hearing of the Landmark "Celmer" Case, VerfBlog, 2018/6/06, https://verfassungsblog.de/hic-rhodus-hic-salta-the-ecj-hearing-of-the-landmark-celmer-case/, DOI: https://doi.org/10.17176/20180606-105152-0. Thanks for this very interesting paper which is very helpful for those who had not the opportunity to be at the CJEU last Friday ! – pouvant aller jusqu’à suspendre la participation de l’État considéré au Conseil européen et au Conseil de l’Union, ainsi qu’à tout autre organe où l’État est représenté comme tel. L’État considéré ne participe pas au vote relatif aux sanctions." Thank you very much for this article! I enjoyed reading it in preparation for my Master thesis, where I am assessing the impediments to fundamental rights the constitutional crisis is causing in Poland. "As a consequence of the lack of competence of the Irish Court, Poland also questioned the ECJ power to decide under 269 TEU on Celmer." — it should be 269 T"F"EU.